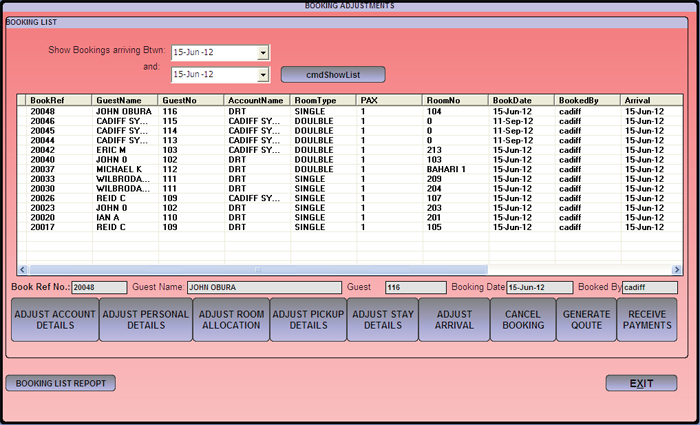 The Reservation System is use d for making both single and group bookings bookings for the Hotel. 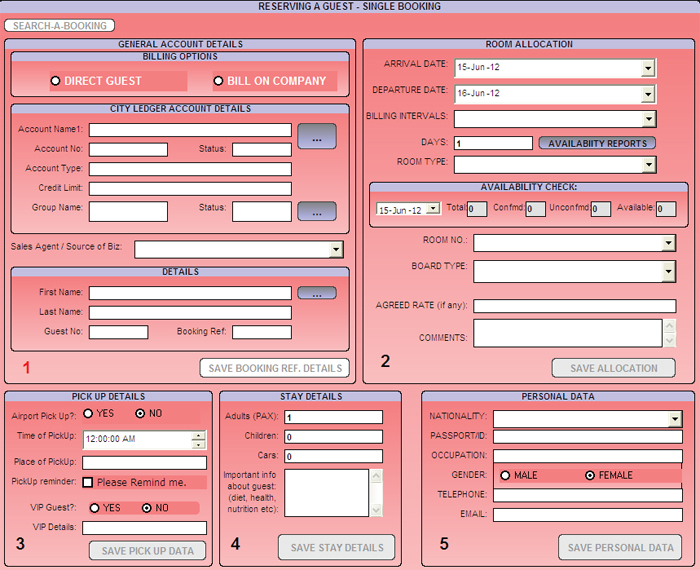 Single Bookings – Allows the user to make a reservation for a single individual. 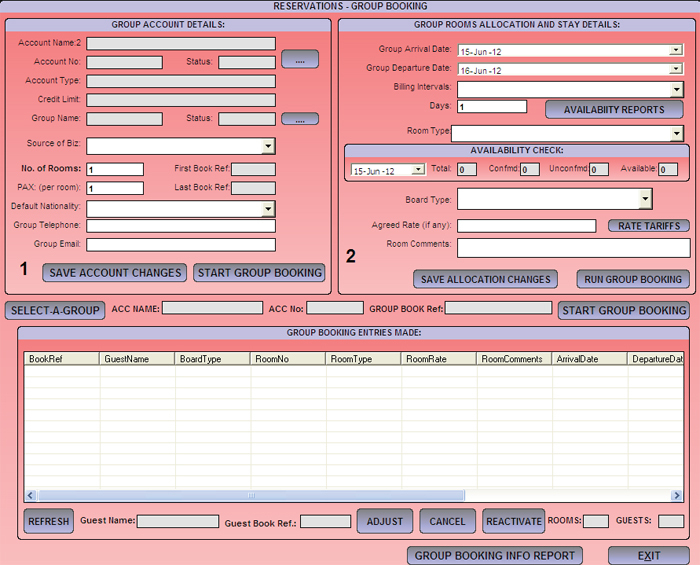 Group Bookings – Allows the user to make reservation for a group coming to the hotel. Booking Adjustments – cancel booking, Reactivate bookings, adjust booking details, etc. 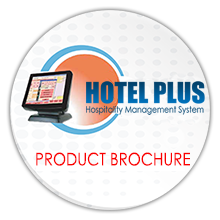 Booking Deposits provision – Allows the user to enter the deposits received as a confirmation of a booking. Booking Charts – Allows the user to forecast how many guest they will have in house and how many removes will be vacant within a given period. Booking Reports – Cancelled, No Shows, Arrived bookings. Link to Front Office Check in. 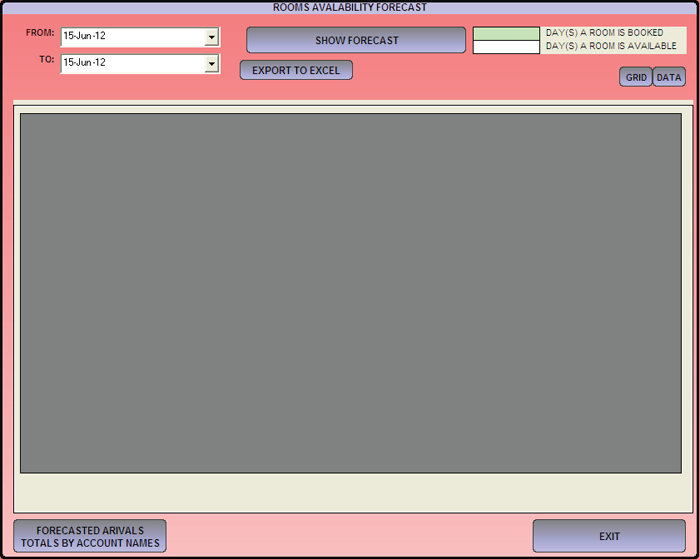 Booking Profoma Invoicing of Clients. Audit Trails – Check which user has performed which tasks on the system. Access Right Controls – System controlled by Rights given to a user. Customizable to meet user need.